After a nice relaxing visit at the Omata’s we had one last big stop on our list – hike an active volcano. Mt. 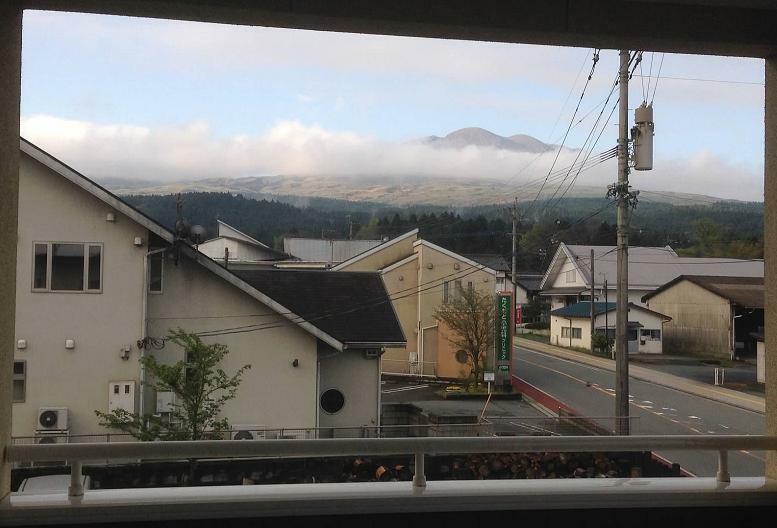 Aso, or Aso San, is known for being a temperamental hot spot that has been smoking for years. At its peak, Nakadake crater, there are about 8 inner craters and a small lake of boiling hot, blue water. The crater is off limits but there are zones outside the most toxic spot with a cable car taking visitors to its edge. Unluckily for us, Nakadake was misbehaving as recently as March, causing the closest safe zone (1 KM around the crater) to be closed off. That, combined with super foggy conditions, made our visit to Aso a somewhat disappointing one. The Omatas welcomed us into their home as guests and showed us the most amazing hospitality. Having known Jun and Rika for years in China, and also tutored their kids, I had always promised I would visit their neck of the woods in South-Western Japan. 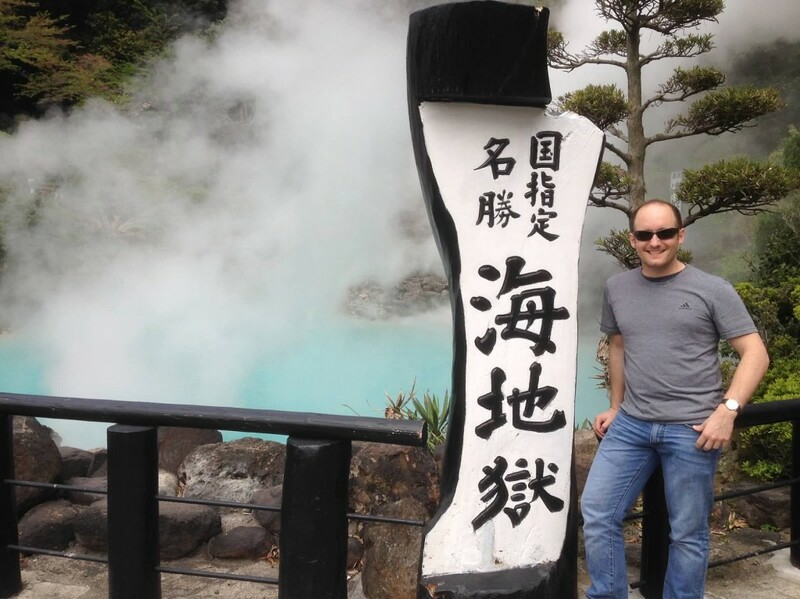 Since this was an opportunity to do that I made sure that our itinerary included a visit to Oita and Beppu, the hot springs capital of Japan. 72 kilometers by bike, in 10 hours. This was the middle point of our journey through Japan. Actually, Jake and I had planned on more hiking and biking than we actually did, but this ride was almost more than we had bargained for! We all have learned about Hiroshima and Nagasaki at some point in History class. But nothing prepares you for what we were about to experience in this city. 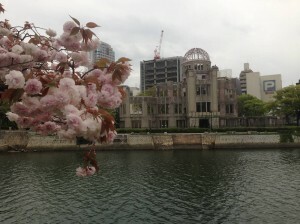 As I got off the train in downtown Hiroshima I was a little overcome with sorrow. I had never felt a sense of national guilt before. It must be similar to how Germans recall World War II. And you only know what that’s like when you ’round the corner….. and see it – the Atomic Bomb Dome. In Nara, a park encapsulates the ancient sites of where this first capital was born. The largest Buddha sculpture I have ever seen was on display at the Todai-ji temple. Surrounding it was multiple holy buildings, gates, and pagodas. It was truly a magnificent slice of history that is being proudly preserved for the coming generations to enjoy. Kyoto is home to the largest concentration of UNESCO world heritage sites in Japan. This one city is a treasure trove of temples, shrines, and old palaces. You can walk in any direction and within 5 minutes you will bump into either a small Shinto shrine or a soccer-field sized Buddhist temple. Aside from the historical landmarks and visual smorgasbord on offer, I would have to say that our most memorable experience was where we spent the night – in an old, traditionally built Japanese house that I reserved on Airbnb. Modernity collided peacefully with past twice that day. 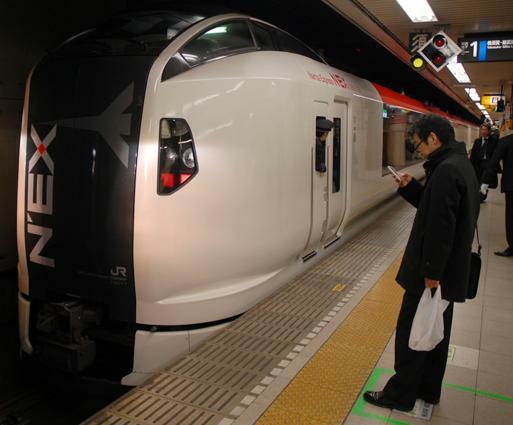 The first occurred when we took the Shinkansen train lightening speeds over to this majestic, classically Japanese city. The second was when we (finally) found this anachronism we were to call home for the next couple days. After about 24 hours of domestic and international flying, Jake (my cousin) and I arrived in Narita Airport just before everything closed. Luckily the high you get from descending into a city of lights such as Tokyo gave us the boost we needed to start figuring out how to secure our JR rail passes, exchange money at a bank, and catch the last NEX train to the city. Groggy and half awake, we dragged ourselves threw the turnstiles and into the first of many trains we would ride. 2015 is the year I returned to Asia for a brief visit. After leaving China in 2013, and getting myself fairly settled in the Boston area, I felt the need to reconnect with my Asian roots! Although I’ve loved being home and getting re-acclimated, a piece of my previous life was missing… the unexpected adventures, the quirky misunderstandings, and the unbelievable cuisine that you find anywhere in East Asia. 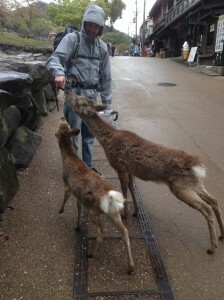 So, from April 8-22 I ventured back into the wild – this time it was Japan. My cousin Jake and I have always talked about backpacking and cycling parts of Japan and that’s exactly what we’ve done. Today I start a series of posts about this trip through Japan from the foot of Mt. Aso, Japan’s largest active volcano. (I’ll get to how badass this place is soon). We’ve taken wrong turns (and very right turns!) across this majestic land, but the one thing that has remained consistent is the friendliness and generosity of the Japanese people. They are without a doubt the masters of hospitality. In the following posts I’ll take you on a journey across this mysterious and majestic archipelago – where the sun rises first every morning and the stars sparkle brightly every night. We started in Tokyo where the neon lights, funky costumes, and glorious Edo past is still visible. Then we’ll walk among the artifacts of previous realms in Kyoto and dance with deer in Japan’s ancient capital of Nara. 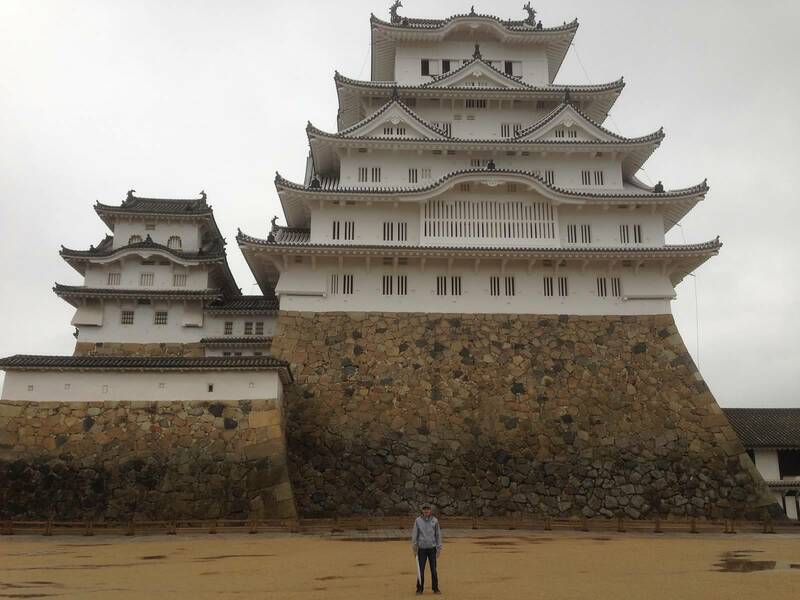 After that, we’ll visit Japan’s oldest surviving castle in Himeji where the “white heron” was finished being renovated only 2 weeks before we got there! We’ll sip on fine whiskies at the Yamazaki distillery before taking the bullet train (Shinkansen) to Hiroshima. We’ll step upon ground once too radiated by an atomic bomb for anyone to visit and see the horror of those times through the Peace museum. 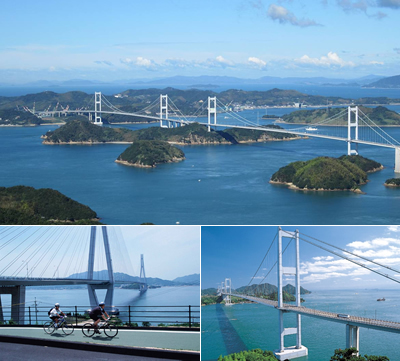 Not far from there we voyage to Miyajima to visit the most frequently photographed landmark – the great floating Torri. And that’s just the first half of our trip! Please subscribe to Asianliving.me and see Japan through the eyes of two American explorers in Asia. Up-rooting everything and moving back to the US was almost as big a change as the initial move out to Asia. 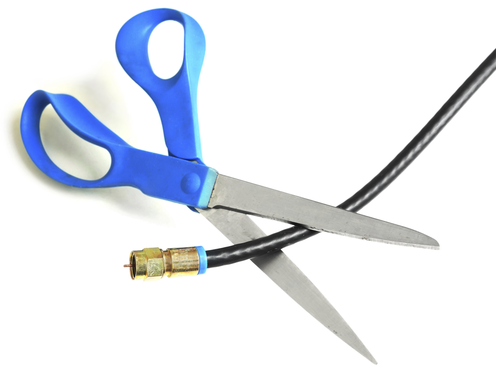 And when you make a big move (new job pending) it’s important to keep costs down and stretch your savings. That’s when the Repat has to tap their network, find deals, and hack the systems that drain your interim funds. It’s August and I’ve been living in Boston since I moved back from China at the end of 2013. A LOT has happened over the course of 9+ months back in America and I thought it was time to check in with AL.ME to recap what’s happened and the hidden challenges of my repat experience. Enjoy installment #4! 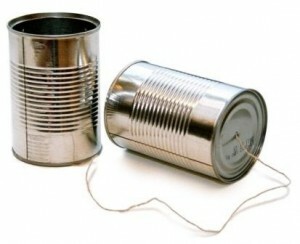 Speaking a foreign language everyday for 8 years is without a doubt a great way to build up that skill. You not only learn how to express yourself in a translated form, but you also experience social interactions in a whole new light. However, you will begin to find yourself behaving differently in your work and at home, with friends and your lover(s). For years I’ve made specific comparisons between the way Chinese and Americans view and interact with the world around us. We have a lot more in common than we think, but the differences are noticeable. Here are a few changes that I’ve definitely noticed while I’ve been back in America the past year. It’s July and I’ve been living in Boston since I moved back from China at the end of 2013. A LOT has happened over the course of half a year [back home] and I thought it was time to check in with AL.ME to recap what’s happened and cite the many hidden challenges of this repat experience. 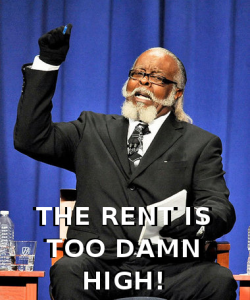 Here’s the 1st installment about Renting and Moving as a repat! When you live in another country for so many years (8 in China, 1 in Korea in my case) you eventually accept and internalize how the local culture does things. 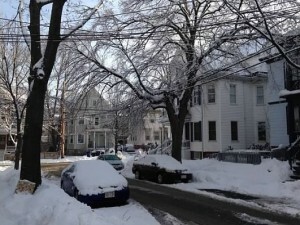 In the case of finding an apartment for rent, signing a contract, and moving in, there were some surprise differences for me here in Boston. 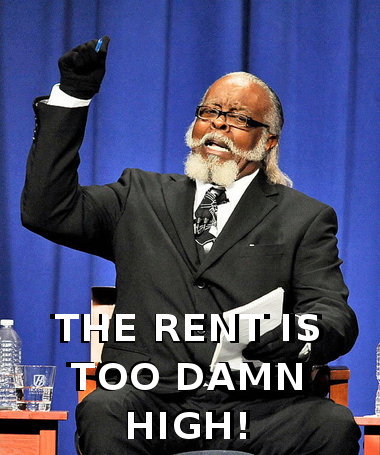 For starters, the value proposition of rent in a city like Boston is a horrible deal. *This post is dedicated to AL.ME’s #1 fan – Thank you Saba! A few years back I visited a little island off of the coast of Zhuhai (China) and found an elderly couple collecting seaweed. They were bending over and reaching around rocks that were covered in barnacles and salty sea grass. When I asked why they were collecting this brownish, bumpy seaweed and putting it into big plastic bags they said, “We’re going to make soup with it.” And I just thought… Chinese people have horrible taste buds… Slimy seaweed in homemade soup must taste awful! But then a couple months ago I was on the phone with my mom who was walking along a beach near her winter home in Florida. She was looking for sharks teeth, as she does most mornings, when she bumped into a fellow snow bird gathering seaweed into a shopping bag. When she asked what he was doing he said that he was a doctor and that the seaweed has great medicinal properties. By the end of their chat, she had realized she was talking with a doctor who gives speeches around the country on cancer prevention. And this man in particular was sending all of the seaweed he collected to his brother’s clinic in Portsmouth, New Hampshire. Consider adding some of these to your bucket list and I’m sure you’ll never regret the effort to cover them all! NOTE: Celebrating some of these festivals usually requires physically being in the country. If travelling that far is impossible, see if you can get to your local Chinatown or East Asian neighborhood on the date of the festival. 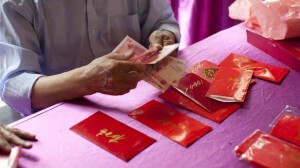 Chinese New Year (Spring Festival 春节, Seollal in Korea, ) is celebrated across the world by Chinese diaspora. In 2014 it will be celebrated on January 31 and the final day occurring on February 15- see the Lantern Festival below. This is the most exciting festival I’ve ever experienced. It feels like American 4th of July but more dangerous! Get a more detailed overview on this amazing festival here. For years I’ve been attempting to explain (and cook) the differences between real Chinese food and American Chinese food. At first, it surprised American friends to discover that the Chinese have never heard of dishes like Crab Rangoon, General Tso’s Chicken, Egg Rolls, Egg Foo Young, and Chop Suey. All were created in America for American taste buds. 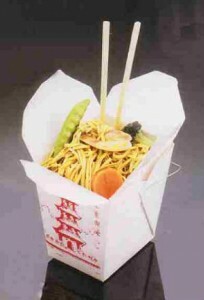 Crab Rangoon was actually an American creation that has been served in San Francisco since the 1950s. Egg Foo Young was an adaptation on a real Chinese dish and made its American debut in the 1930s. Whenever I cook for friends and family I’m always asked about the ingredients I use and where to get them. And since visiting an Asian market alone can be a little overwhelming for some, I decided to put a short introduction together for buying my most common ingredients online. 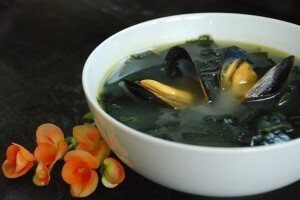 If you’d like to see some recipes first, here are a few on Asianliving.me. Amazon.com’s grocery section is loaded with Asian food options. If you have Amazon prime you obviously won’t have to worry about the cost of shipping. It’s probably worth visiting Amazon first to see if you can find what you are looking for. 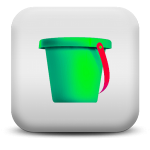 For those in select areas, you can try Amazon Fresh which is just like Peapod or FreshDirect. 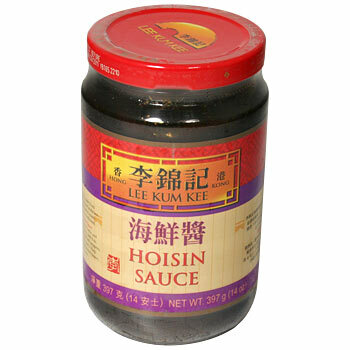 Lee Kum Kee’s Hoisin Sauce is something I use for a sweet, seafood flavor. 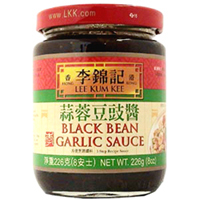 Lee Kum Kee also makes a Black Bean Garlic Sauce which I use for home-style pork ribs. Yum! Actually, just about everything in the Asian Food Grocer’s “Quick and Easy Asian Cooking” section is delicious and, as the title implies, very easy to use. 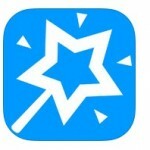 Marukai’s eStore is a Japanese food shop online which serves North America. Some of my recipes have ingredients that you can find at their shop. 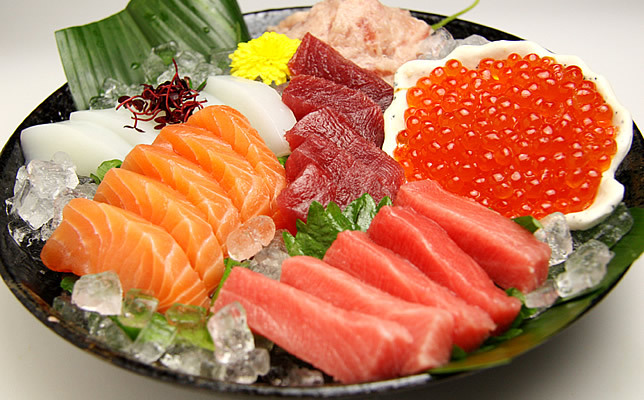 Check out their amazing variety of fish options for at-home sushi making! Also, one Japanese product that I enjoyed a lot in China was Key Coffee’s Drip On brand singles. A blog that totes the wonders of Asianliving should really offer a fair slice of the other side: the health problems suffered in Asia. 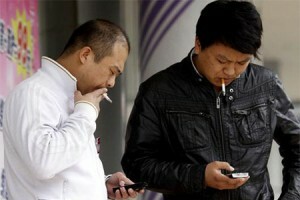 Suffice it to say the global news media frequently reminds us of the air quality issues across China, I decided to take it one step further and opine on the love of smoking here. In April, my sweetie (Cherie) and I are taking a 2-week trip to Southeast Asia! This will be the deepest south I’ve ever been in Asia and I couldn’t be more excited. First, we’ll visit Singapore which was said to be a crown jewel in the British empire in its hay-day; there’s bound to be many similarities with Hong Kong I’d wager. With the peaceful coexistence of three major ethnic groups – Malaysian, Indian and Chinese, this city state will undoubtedly provide us with amazing food, brilliant architecture, and world-class hospitality. From Singapore we travel to Jakarta, Indonesia where Cherie grew up. This will be the first majority-Muslim country for me to visit and I’m very curious about the stories from its past and present. Once we’ve visited Cherie’s parents’ house, and drunk our fill of avocado smoothies, we’ll venture out to the special region of Yokyakarta. 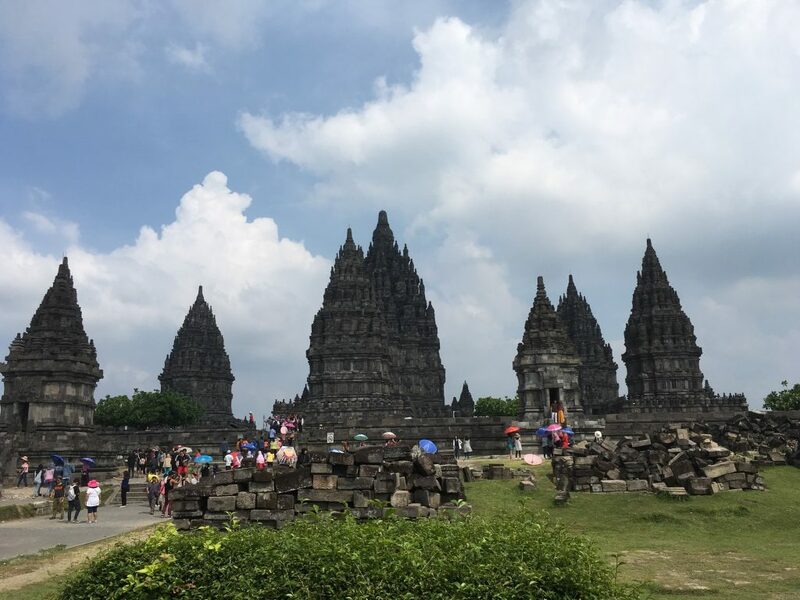 Known as the ‘cradle of civilization’ to the Javanese, this is where multiple UNESCO world heritage sites are located, including Prambanan and Borobudur Temples. Here’s our general itinerary and some of the things we’re hoping to get to. If you have recommendations for us, please let me know. UPDATE: We have already completed the trip. It was amazing! 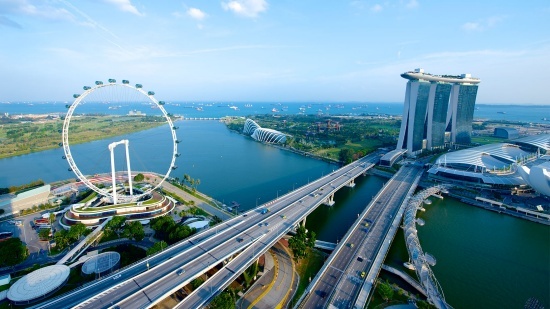 April 29th – May 1: Fly from Boston to Dubai to Singapore. May 1 – 3: Visit Cherie’s family in Singapore and go sightseeing. May 3 – 5: Visit Jakarta and see where Cherie grew up. May 5 – 7: Swing by Yokyakarta to visit ancient temples and explore local villages. 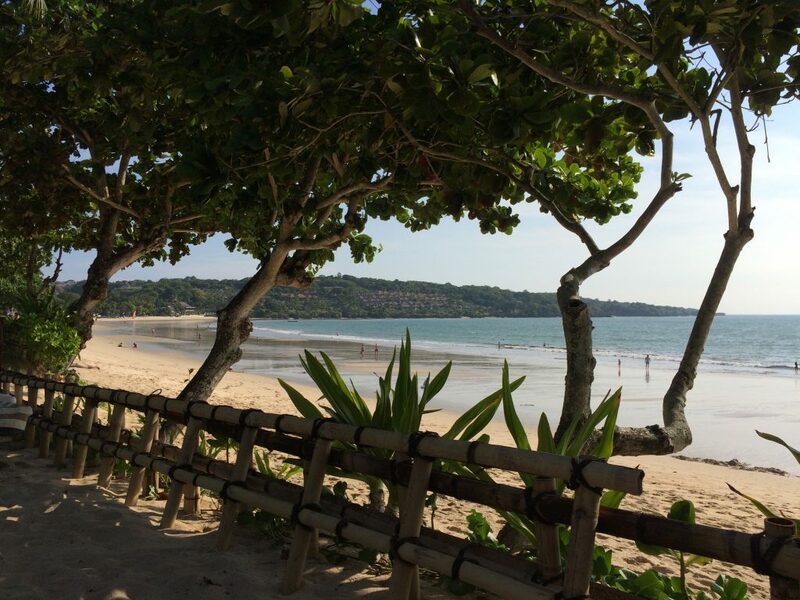 May 7 – 12: Bali! Beaches, wildlife, and glorious food. May 12 – May 13: Return to Singapore and prepare for our flight back to Boston. With flight out there taking about 24 hours, we are definitely trying to squeeze in as much as possible. I cannot wait to experience Southeast Asia for the first time! Posted on February 15, 2016 March 31, 2018 Categories TravelLeave a comment on Benjiming visits Singapore and Indonesia in 2016! This post starts at 4:45am. Before the crack of dawn I was woken up by the sound of crickets and snores from the other room. I had my gear in two bags on the couch. One bag contained this morning’s swimming stuff and the other had biking/running gear. After waking Cherie up and getting my things in the car, we set out to Ellacoya state park. 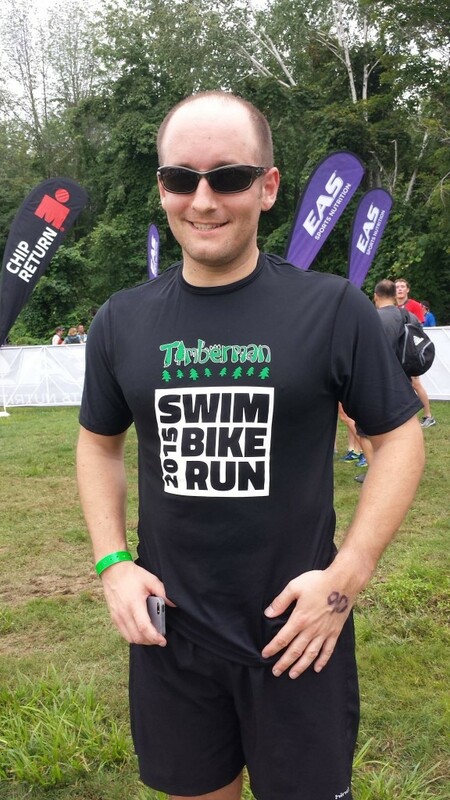 The sun wasn’t even up yet… but I was getting ready to race a 0.3 mile swim, 15 mile bike, and 3.1 mile run. 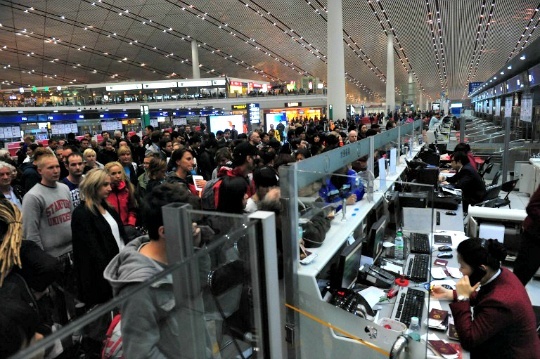 Beijing airport, busiest in Asia! For the second year in a row, Beijing Capital International Airport ranked number two in the list of the world’s busiest airports, handling 83.7 million passengers last year and securing its position as the airport with the highest level of flight activity in Asia. Hartsfield-Jackson Atlanta International Airport remains on top with 94.4 million travellers due to it being a major port for domestic flights and a popular connection to destinations in Europe and South America.